At this year’s Salone del Mobile in Milan the UNStudio Futures team, together with Swiss furniture brand USM, has designed a theatrical installation to reflect shifting boundaries between work and domesticity, now and in the future. 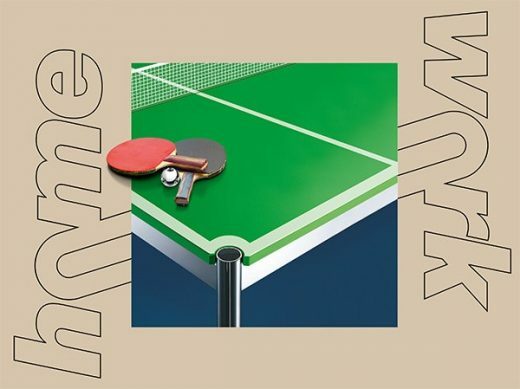 Spanish furniture brand Ondarreta will also be presenting a new chair and table design by Ben van Berkel / UNStudio, while Artifort will be revealing an updated version of the Gemini Chair. Alessi and Olivari will also be showcasing products designed by Ben van Berkel and the UNStudio Product Team. USM – Too much HomeWork, not enough play? In 2017 the UNStudio Futures team was commissioned to explore changes taking place within the world of work, understand how these affect USM and identify opportunities for the future. As a result, for Salone del Mobile this year we have worked closely with USM on developing their ‘HomeWork’ concept and have designed a theatrical installation to reflect shifting boundaries between work and domesticity, both now and in the future. Milan marks the beginning of a long-term process for USM. In their Salone booth, rooms in which home and work collide are explored through the creation of an absurd hybrid of domestic and office environments hidden within floating chambers. With jobs increasingly replaced by artificial intelligence, the qualities which differentiate us from machines shift into focus. A question posed within each room prompts you to reflect on a human quality. Your answers will inspire the next stage of investigation, the USM ‘WorkHouse’ taking place this Summer in Berlin. This year, Spanish furniture brand Ondarreta will be presenting a new Chair and Table combination designed by Ben van Berkel / UNStudio. For SILU, UNStudio and Ondarreta have fused traditional wood bending techniques and technical know-how with contemporary design. As such, SILU plays with functional ergonomic surfaces that dynamically transform into structural frame components. In SILU smooth transitions are made between sharp angles and soft curves and all pieces are made from wood sourced from sustainably managed forests. The concept for the design of the original Gemini chair centered on flexibility of movement, versatility in seating positions and variety in spatial experiences. As part of their 2018 novelties at this year’s Salone del Mobile, Artifort will reveal an updated and even more versatile version of the piece. Location: Fiera Milano Rho, Hall 16 stand E26. Alessi will be present at the Rho this year, where they will also be exhibiting various tableware designs by Ben van Berkel / UNStudio, including the Ribbon Wine rack, the Alba truffle slicer and the Giro cutlery collection. 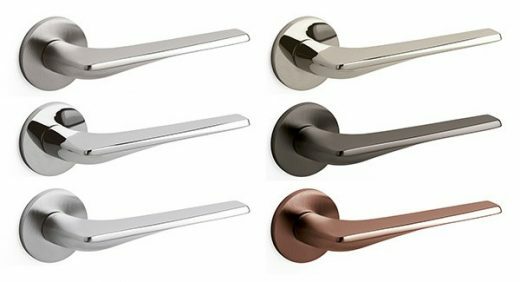 The family company Olivari, who have been manufacturing handles for more than 100 years and who work closely with internationally renowned designers and architects, will be presenting our ‘Twist’ handle this year as one of the highlights of their collection. This year UNStudio & Royal Ahrend will be giving a presentation about the future of work environments at the special yearly Salone event ‘The Architect’s Breakfast’, which takes place on Thursday 19th April. In 2017 our focus is firmly on 2027 and beyond. The future is changing faster than ever before, with the result that we are now developing strategies that not only anticipate the future, but possible changes to that future as well. This not only applies to our work, but also to our team, which continues to grow. 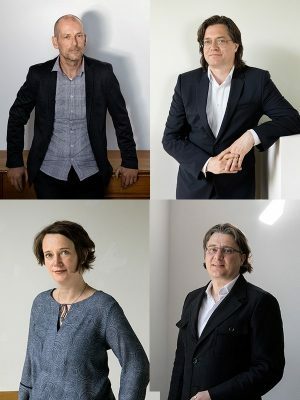 Following the appointment of three Partners 10 years ago – and with the more recent addition of Hannes Pfau as Partner in charge of UNStudio Asia – heading up our current Board are Founders Ben van Berkel and Caroline Bos and Partners Gerard Loozekoot, Astrid Piber, Harm Wassink and Hannes Pfau. Under their management, over the years our projects have grown in both complexity and scale and, as a result, we have steadily expanded the Board. The Founders and Partners are closely supported by a dedicated team of five Directors and five Associate Directors. Future-proofing the future means expanding our horizons and our expertise through scaling-up our skillset – both by ourselves and within our network. As such – in addition and as support to our design services – UNStudio is dedicated to developing knowledge to improve the built environment and quality of life in the future. To ensure that we can expand and share our expertise, we have recently appointed two of our long-term Senior Architects/Associates to head up our in-house Knowledge Platforms and specialised Workfields. Ren Yee has been appointed as Head of Innovation Strategy and Forecasting, while Filippo Lodi has taken on the role of Head of Innovation and Knowledge Management. Alongside our architectural services, we also have dedicated teams specialising in Urban, Interior and Product design. With these specialisations, a staff of over 200 from 27 countries and offices in Amsterdam, Hong Kong and Shanghai, we are in a position to offer a full-service international architecture and design network in three locations. Since 2006 AW Architektur & Wohnen has nominated outstanding designers for the ‘A&W Architect of the Year’ award. 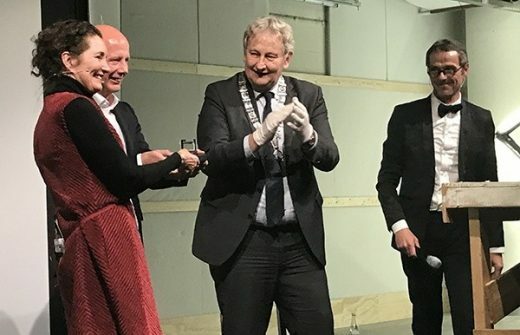 This year the jury honoured Ben van Berkel for his body of work and expressed its appreciation for “the unique approach of the office that results in exciting buildings that are always either in harmony or in animated discourse with their surroundings“. Titled ‘The Future of Work: Human Refocus’, the exhibition forecasts how the next wave of technological breakthroughs will affect how, where and what we think about work. Technology can support, rather than replace, humans and in so doing re-centre the human experience. In the exhibition, UNStudio’s innovation and forecasting team ‘Work & Campus’ presents a selection of their ongoing research projects, which investigate how digital technology and automation is driving the evolution of work. 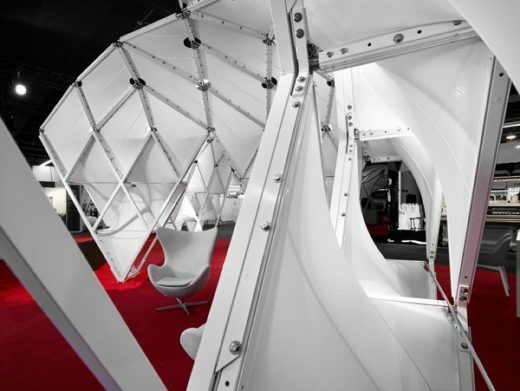 Wed 10th May 2017 – For the Techtextil ‘Living in Space’ exhibition UNStudio and MDT-tex have created Prototype II, a modular shelter which envisions how we might one day live on the moon or on Mars. The design is inspired by foldable structures and the need for lightweight and compact transport into space. 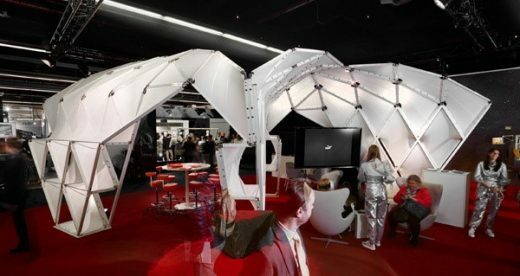 In the Techtextil installation the self-supporting pavilion serves as a space in which guests can experience a trip to Mars in virtual reality – as represented by co-exhibitors the European Space Agency (ESA) and the German Aerospace Centre (DLR). 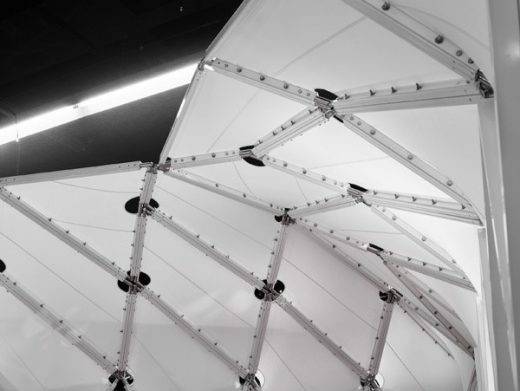 The primary material component of the shelter is PTFE membrane. A textile of the highest performance, PTFE provides a durable, yet translucent and lightweight infill. As a textile PTFE provides more uses and formal flexibility than other architectural materials, such as composites or lightweight metals. However, like any other textile, PTFE can be custom woven— with open weaves and colour integration—to match the needs of any cladding or pavilion project. When used in an architectural context, textiles must be combined with other materials to allow for a fixed shape and strong connections. 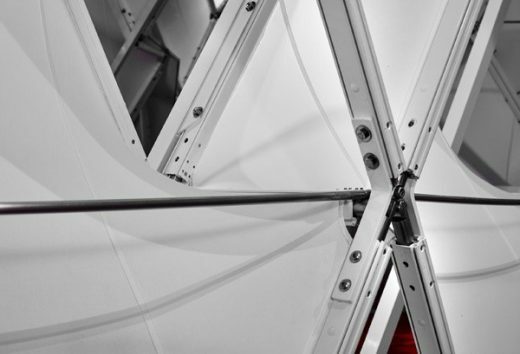 As with its predecessor prototype, ‘Eye_Beacon’, Prototype II uses an aluminum and steel frame in each panel to accomplish this. 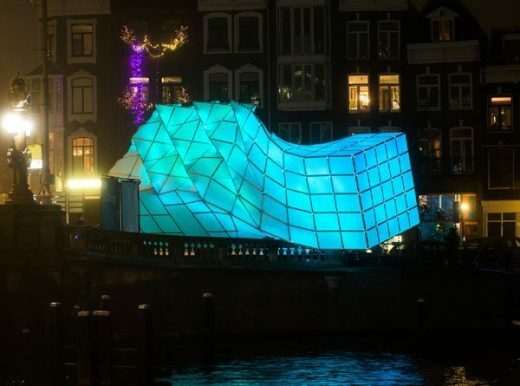 Both Eye_Beacon and Prototype II are prototypes for a multi-functional membrane structure system, called ‘Cirrus’, which is currently being co-developed by UNStudio and MDT-tex. 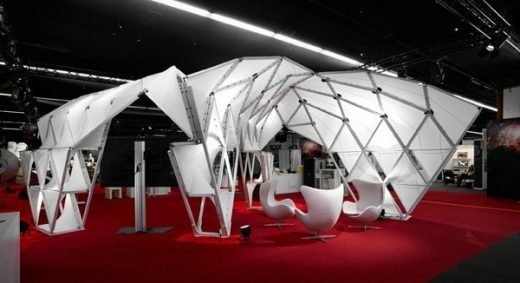 The framed membrane strategy used in each of these prototypes will be further developed and optimised to serve as a façade, a second skin or a shelter structure. PTFE (also known under the trade name Teflon) is extremely resistant to chemicals, weather, UV radiation and temperature influences. Furthermore it is non-flammable and self-extinguishing (B1-classification) and has very low electrical and thermal conductivity. These outstanding properties first attracted the attention of aerospace engineers. Since then, Teflon and related materials have accompanied the history of American space travel – as cable insulation and heat protection tiles, or as a protective layer on space suits. In the Apollo missions, the litter bags for moon rock were coated with Teflon and PTFE is still used to protect various materials in space travel today. The PTFE fabric specially developed by MDT-tex differs to the usual stiff, hard and kink-sensitive membrane materials made of PTFE coated or laminated glass, aramid or polyester fibre fabrics, in that it consists of PTFE multifilaments, which are formed from a plurality of twisted continuous fibres. The MDT-tex PTFE fabric also has pronounced anti-adhesive properties (‘self-cleaning effect’), which means that no contaminants adhere to the fibres. Furthermore, the fabric is characterised by its low extensibility, high temperature resistance (from -200 to + 327° C) and very low surface tension. 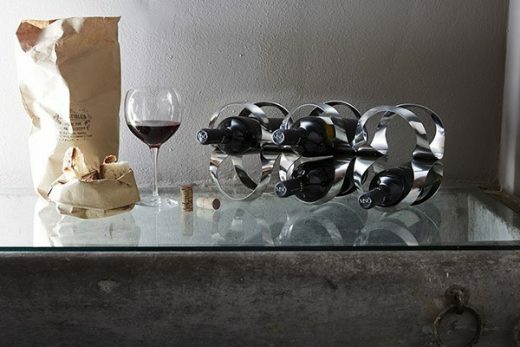 The Ribbon wine rack is both a storage device and an object for the table display of fine wines. 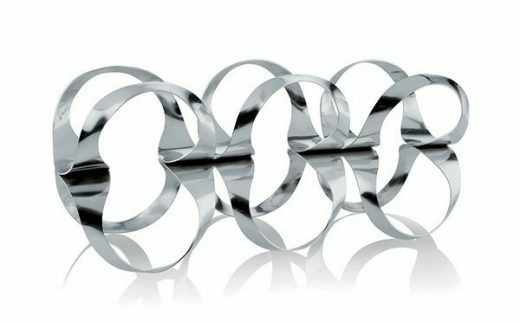 Inspired by the Möbius loop, single strips of stainless steel are joined at each end to form a loop. The sides of this loop are then twisted upwards to form a delicate cradle which supports as it weaves itself around the bottle. 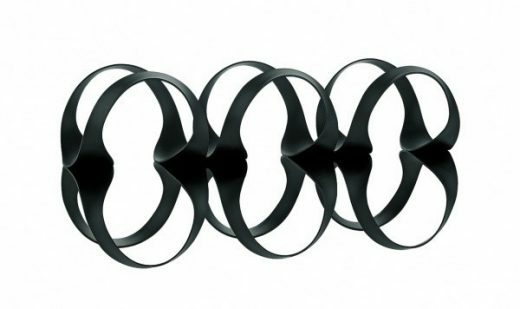 Each row of curved loops is then mirrored vertically, creating a stacked display system. 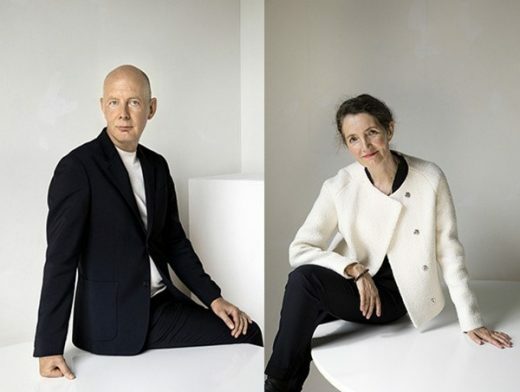 4th November 2016 – The Royal Institute of Dutch Architects (BNA) last night awarded its highest honour, the annual Kubus Award, to Ben van Berkel & Caroline Bos for their ‘exceptional contribution to architecture’. The BNA Kubus is the highest honour bestowed by the Royal Institute of Dutch Architects (abbreviated as BNA). The prize is awarded to persons or institutions that have made an exceptional contribution to architecture in the Netherlands. This year, the Kubus was presented for the 41st time. 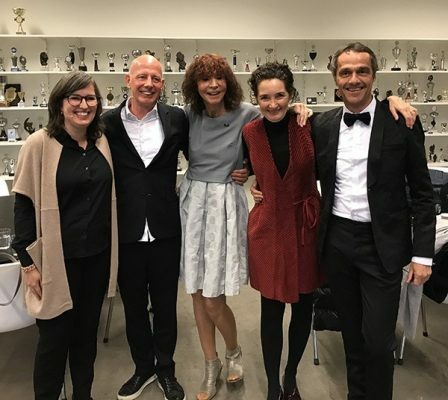 The Kubus was awarded on the recommendation of a jury made up of Nathalie de Vries (chair), Steven Nobel, Ton Idsinga, Wienke Bodewes, Willem Hein Schenk and Willem Jan Neutelings. Oct 4th 2016 – The tip of Oosterdokseiland in Amsterdam will be a lively environment where people can meet, inspire, live, work and play. The developer BPD will complete the realisation of this area. 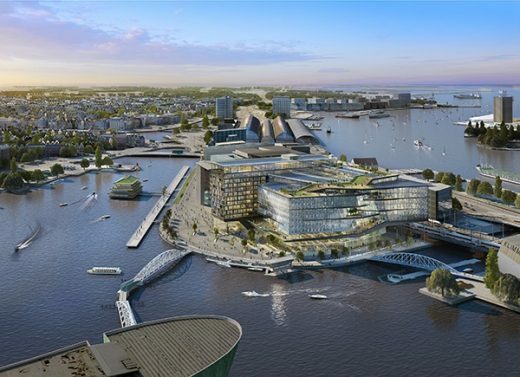 Spanning 225,000 m², Oosterdokseiland is one of the largest urban projects in Western Europe. The last sub-plan consists of a social hub, specifically designed to encourage encounters, and includes 72,500 m2 of total space for public facilities, apartments and additional office space for Booking.com. It is hoped that the area will be in use by the end of 2020. The development of the area was started over fifteen years ago. Through perseverance and a strong belief in the area – and despite a slowdown in its development over recent years owing to challenging economic conditions – planning is now underway for the last two lots. Oosterdokseiland is an inspiring mix of living, working, studying, recreation and entertainment for residents and visitors to Amsterdam. In recent years companies including Vodafone, TomTom and Takeaway.com have settled here. Facilities such as the Conservatory, the Public Library, a hotel and a broad range of restaurants and cafes make the area attractive to a wide audience. More information about the design will be made available at a later date. 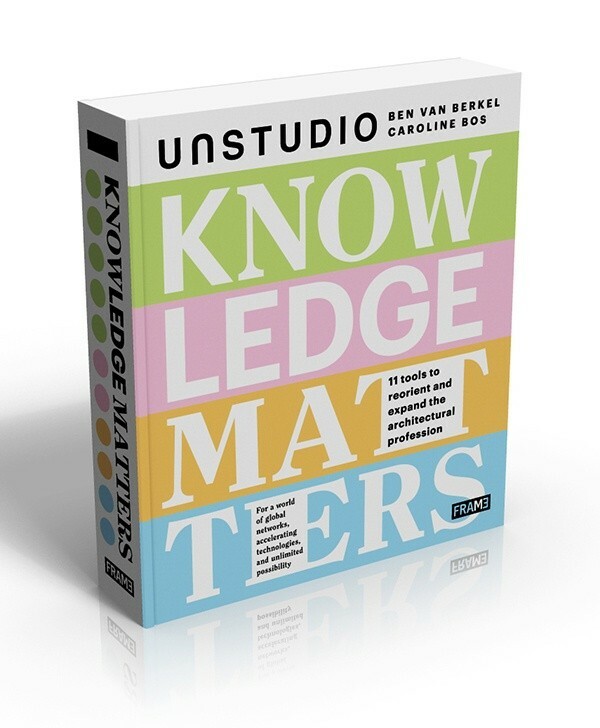 Knowledge Matters will be published by Frame Publishers on Sept 1st 2016 and will be available for pre-order via the Frame Store on Aug 15th. Written by Ben van Berkel & Caroline Bos and published by Frame Publishers, Knowledge Matters is an exploration into a more agile form of practice – one that is scalable, relevant and opens conversations about the future of the discipline in the context of today’s knowledge sharing society. It does so by critically engaging the expanded set of demands now placed upon the profession – reframing these demands as the latent potentials of performative architecture in the 21st century. These potentials are explored, realised and speculated upon through the book’s 11 ‘Knowledge Tools’, with projects often appearing more than once and in various guises. UNS_SoF_Preview_160613 from UNStudio on Vimeo. The interactive book app Spaces of Flow – Arnhem Central Station is a free complementary publication to Knowledge Matters. 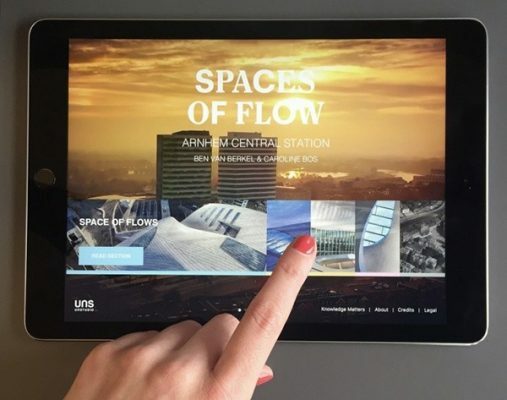 The first in a planned series of digital publications with a focus on the future of mobility, Spaces of Flow elaborates on the application and production of knowledge in the design and development of Arnhem Central Station. For the first installment, we zoom in on this extensive and complex project, illustrating how the synthesis of external and internal expertise from a network of collaborators and stakeholders created a flow of knowledge that became essential to the success of the project. Ben van Berkel / UNStudio’s product designs MYchair Lounge (Walter Knoll) and SitTable (PROOFF) are in production. The hybrid form of the SitTable combines two pieces of multi-functional furniture, offering a variety of space-creating authority to the user. It may become a quiet reading table found in a library, or a work and relaxation place located in an airport lounge. It could simply be used in a waiting room, in a front office or in a school. It may also act as a meeting space for exhibitions or in shops. Ben van Berkel of UNStudio alongside Jonathan Cohn of EE&K and Jacobs Engineering have developed a Master Plan of Los Angeles’ Union Station. A Resolution to Grant Planning Permission has been gained for this 30-storey residential tower in north east London, just north of the financial district. Design for The Scotts Tower in Singapore will be the first development to be unveiled today under the Far East Organisation’s new SOHO brand. The Scotts Tower high end residential building is situated on a prime location in the city, close to the Orchard Road luxury shopping district and with views encompassing both nearby parkland and the panoramic cityscape. UNStudio’s design for the new Transfer Terminal and Air Traffic Control Tower for Kutaisi Airport was officially presented yesterday by the President of Georgia, Mikheil Saakashvili. Georgian President Mikhail Saakashvili, who personally demolished one of the walls of the old airport yesterday announced, “We will build an international airport here, which will take aircraft from Munich, Rome, Baku and other cities as of next year.” UNStudio has designed the new Kutaisi Airport which will serve domestic and international flights for use by international diplomats, national politicians and for tourism. This design for the NAMOC presents an emblem of Chinese culture and a national museum of global significance for the 21st Century. The architectural concept is based on uniting dualities; past and future, day and night, inside and outside, calm and dynamic, large and small, individual and collective. The building is designed to use the creative enterprise of the school to facilitate cross-disciplinary interaction between the professional world, the campus, and the community at large. 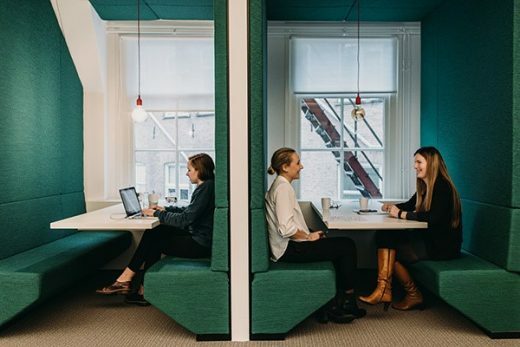 The flexibility of spaces (in both the short- and long-term) drives the design approach. April 6, 2018 in Architects.